There are so many companies and charities offering solutions for donating online that while we might experience the obvious benefits that competition can give, we also need to filter out some of the noise in order to find out what works best for both the donor and the organisation. 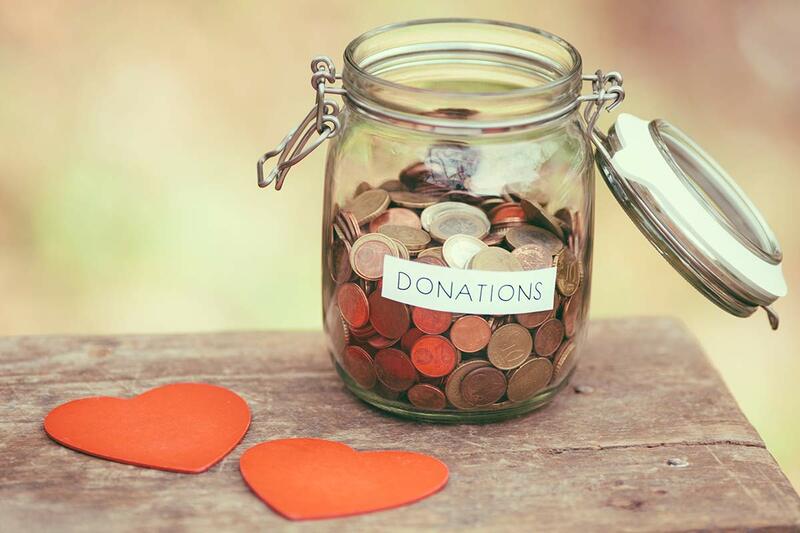 There are some useful sources of unbiased and less-biased information out there along with some quite specific research about online donations, so let’s look at some of the more relevant ones. Whenever I’m musing over any usability problems which involve the user exercising choice, one particular story often springs to mind, and it predates the web. I first came across it in Sheena Iyengar’s The Art of Choosing. She tells us that when Procter & Gamble reduced the number of Head & Shoulders shampoos they offered from twenty-six to fifteen, sales of the shampoo went up by 10%. This is supported by a healthy body of research – there’s a great TED talk by Sheena covering some of them. The implications for online donations are likely to be that providing closed options for specific amounts – not too many – along with the option for a user to choose their own amount, will yield better results. Perhaps further, if we can tie amounts to something achieved or provided by our organisation – a tangible thing offered akin to the fostered Oxfam goat for a family or Water Aid’s year of clean water – we’re likely to be more successful. I’d also suggest that all benevolent options should sit together in a single place. For a potential donor staring at a page, the act of giving a one-off donation, a repeat donation or joining some kind of named membership scheme are all likely to be competing for their attention. The separation of them onto different pages is akin to making your potential donor carry their basket to different aisles in the supermarket because they’re trying to decide whether to buy Head and Shoulders All-in-one or Tea-Tree Infused Jojoba. Apologies to Procter and Gamble for inventing product names. A lot of specific research has focused on online shopping, which is similar in lots of ways to the online donations process. Looking at all the reasons why people may not persist in buying a product online, highest amongst them is a lack of detailed product information, slow web pages and a lack of trust in the payment process. All of these are likely to have an impact on the donation process and potentially stop users in their tracks. Making sure your website allows access to all the information a donor may want to read – what you do, how you do it and even financial statements and annual reports – all easy to find from the donation page without the user leaving it and getting lost, should all help. Test the speed of your pages through the donation process and use a trusted payment provider with a secure connection at all the right points. Do you re-use your towels? Another piece of research from a team led by Noah Goldstein, now at the University of California reported by Scientific American, looks at the relationship between benevolence and the type of persuasion we give. The study doesn’t focus on donations but on those intrusive messages hotels put up in bathrooms to try to convince guests to re-use their towels – something which can save a great deal of money for a hotel chain when done correctly. As an optimist about human nature, the results were interesting and upsetting in equal measure. The traditional message about the environmental good that could be done by putting your towel back on the towel rail rather than on the floor for the cleaners were shown to be far less effective than we might expect – or hoped in my case. So what did the successful messages focus on? They focused on telling the hotel visitor that other guests in the hotel were re-using their towels. Even more surprisingly, the most successful of those messages told visitors that the previous guests in their room re-used their towels. These messages were 25% more successful in persuading users to re-use their towels than the environmental message. The context of donating online is clearly different; your user is perhaps already on a donation page and considering donating. They also probably trust the motives of your organisation as charity more than they might a hotel chain. But what it may tell us is that the message you give to your users all about the great things your benevolent institution does may be a lot more successful if supplemented with messages showing potential donors the flurry of activity by other donors on the site – their peers. It also underlines the usefulness of other tried and tested approaches,such as Blue Peter style totalisers for campaigns, the ability for users to write messages for other potential donors to read and sharing on social media. The other 47% were usability issues related to page and site design, including cluttered pages and confusing navigation. Other research, in this case by William Samuelson and Richard Zeckhauser of Boston University and Harvard University respectively, look at the effect of status quo on someone filling in a form – or in clearer language, how users react to pre-selected choices on forms. The findings here are probably to be expected. Default values appear to have a strong ability to influence users. For donations, this could be a suggested amount on your donation form, or perhaps the most likely donation or membership scheme to join. It’s a small thing to add but if we believe these results it’s likely to increase the number of donations, and is perhaps genuinely helpful for those who really don’t know how much is right to donate after a visit to your museum, for example. Thank you, we really appreciate it. Your donation really will help us to do good things. One of the most important question is how to actually take donations. Should we use a third party provider who’s already set up and can take away lots of the pain of providing the means to donate or shall we keep users on your own site? The research here suggests the intuitive here. If possible – and if we can provide the same functionality – keep users on your website and on well-crafted pages within your branding. Of course, the big if here is whether you really can provide functionality you and make the investment you’d need, so it may be not be a clear decision. Network for Good’s 2011 report suggests, though, that branded donation pages achieved 5x more donation dollars, on average, than sites with generic donation pages. I’d personally take the size of this difference with a healthy pinch of salt, but see the thrust of it as important. It could well be that organisations who’ve invested in providing donations forms on on their own site may take fundraising as a whole more seriously and invest in all sorts of other mechanisms which persuade people to donate online. But we do know that users generally don’t like to be taken unexpectedly to other sites, and that users on the whole become concerned if they believe that some of their donation goes to a different profit-making organisation for logistical purposes. Going to a third party provider on the web is likely to have a similar effect to the knowledge that a profit-making company has boots on the ground collecting money for Greenpeace one day and Oxfam the next.